During the Greek Dark Age, poets called bards traveled to different poli. The bards told stories in the form of long poems called epics. People would often pay to hear the bards describe stories of the distant past. The bards would sing many of the epic poems while accompanied by a stringed instrument called a lyre. The musical epics were called lyric poetry. The two oldest surviving examples of Greek literature are the Iliadand the Odyssey, epic poems that describe the Trojan War, a conflict between the Greeks and the city of Troy that the epics say was fought almost 1200 years before the Common Era. The Trojan War was fought over Helen, who according to legend was the beautiful daughter of Zeus and the wife of the king of the Greek polis of Sparta. The war began after a Trojan prince named Paris kidnapped Helen. According to the Odyssey, the Trojan War ended when the Greeks pretended to give up their quest for Helen. 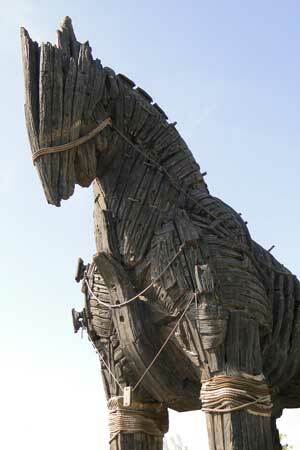 The Greeks left a huge wooden horse as a peace offering to the Trojans. The Greek navy pretended to sail away, but they only sailed out to a hidden location. The joyous Trojans opened the city gates and pulled in the giant statue. After a great victory celebration of their defeat of the Greek army, the people of Troy slept for the night. As the Trojans slept, Greek soldiers emerged from their hiding place inside the wooden horse, opened the city gates, and began to burn the sleeping city. Modern scholars believe the Iliad and the Odyssey are based on oral legends, but the epics are often attributed to a storyteller named Homer. 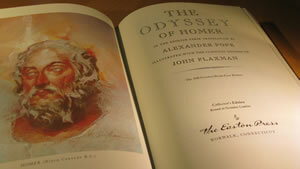 The language of the Iliad and the Odyssey suggest that Homer came from the western coast of the modern nation of Turkey. Homer’s name can be translated from a word that means blind, but the vivid imagery of the Iliad and the Odyssey suggest that the author of the poems must have had sight at some point in his life. We have only a few clues about who Homer might have been. 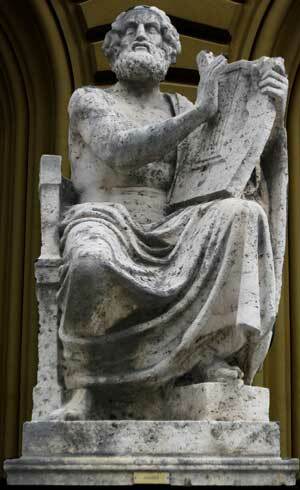 Herodotus was a Greek writer who lived in the fifth century before the Common Era. Herodotus is often called “the Father of History." The great historian estimated that the story of the Trojan War was at that time at least seven centuries old. The epic stories of the bards are the foundation of Greek theater. During the Classical Age, the Greeks often performed plays at festivals honoring Dionysus. Dionysus was the Greek god of the harvest, but he was also the god of pleasure. In many Greek plays, a few actors played roles while a chorus narrated the play and offered advice to the characters. Greek tragedies were plays that described great conflicts and often ended unhappily; Greek comedies told amusing stories about Greek culture and society and generally had happy endings. The modern movies we see today are rooted in the plays of ancient Greece and the stories of the mysterious Heroic Era of ancient Greece. Mr. Donn has an excellent website that includes a section on Ancient Greece. We know very little about the author of the Iliad and the Odyssey. The epics are ascribed to a bind wandering bard named Homer. Although there are many idealized depictions of Homer, but we don’t know what he looked like or even if he even existed. 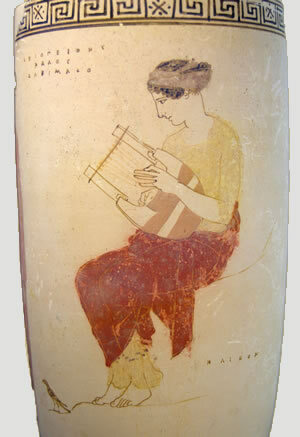 A Greek vase depicting a woman playing the lyre. Scholars believe The Odyssey was composed near the end of the eighth century before the Common Era. This entry was posted in Ancient Greece. Bookmark the permalink.